The U.S. Justice Department has reportedly asked Skadden, Arps, Slate, Meagher & Flom for information about its work on behalf of the former government of Ukraine, which was led by a client of President Donald Trump’s ex-campaign chairman. Paul Manafort had arranged for Skadden to draft a report that some had cited to justify the jailing of a political rival to the former Ukrainian president, Viktor Yanukovych, who was Manafort’s client, the New York Times reports. The newspaper’s information about the Justice Department request comes from two anonymous sources. Yanukovych’s government was aligned with Russia, where he fled after his ouster from government. Ukraine’s prosecutor general, Yuriy Lutsenko, told the Times he is working with the DOJ to investigate payments from the Ukrainian Justice Ministry to Skadden. Skadden’s lead lawyer on its Ukranian work was Greg Craig, former White House counsel in the Obama administration. The Skadden report said the political rival, former Prime Minister Yulia Tymoshenko, was denied counsel at critical stages of her trial but her conviction was supported by evidence, the Times reported in December 2012. Manafort has reportedly been wiretapped, first as a result of an FBI investigation into consulting firms’ work for Yanukovych’s party, according to a recent report by CNN. That alleged surveillance was discontinued for a lack of evidence. A second alleged wiretap was part of an FBI investigation into associates of the Trump campaign and suspected Russian operatives, CNN’s anonymous sources said. 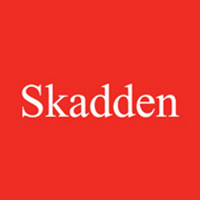 In June, Skadden refunded $567,000 to the Ukrainian government, about half of what it was reportedly paid. Skadden said in a statement given to the Times that it returned the money because it had been placed in escrow for legal work that wasn’t done. Skadden also said its work did not require its lawyers to register as a lobbyist or public relations provider for a foreign government.